When you receive a ‘bounce’, it means that your email was sent to a particular address but the mail server receiving that person’s email has returned it and said it could not be delivered. There are a number of different reasons why this may occur, and they can be divided into two main categories – a soft bounce and a hard bounce. The term ‘soft bounce’ in email marketing means that the email seems to be good, but it bounces back to the sender of the email. It gets as far as the recipient’s mail server but it then gets sent back as undeliverable. This can be caused by a number of reasons – either the recipient has set up an auto response such as ‘this user is out of office on vacation’, or their email mailbox is already full. Alternatively, the email may be too large to be delivered successfully, or the server may be down temporarily. The term ‘hard bounce’ refers to an email that has been returned to the sender of the email and is permanently undeliverable. The reasons behind a hard bounce include an invalid email address, the domain name not existing, the recipient’s email address being shut down permanently, or your server having been blocked by the recipient’s mail server. It is worth remembering that servers may occasionally classify bounces differently, which means that a hard bounce on some servers may be interpreted as a soft bounce on others. A bounce is a headache in an email marketing campaign. Here are some good ways to avoid having your emails affected by bounces – either the hard or soft kind. Incentivise clients to give you a working email address by offering something of quality or something exclusive from you in your emails. Some examples include offering free coupons or download codes. Update your email subscriber lists. By keeping a regular check of email address and removing any that are no longer valid, you will be reducing your chances of being hit by bounces. 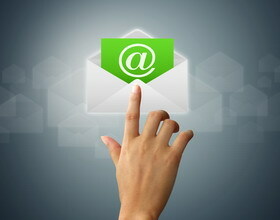 Clear out any email addresses that are poorly formatted or that contain invalid domain names. Test your emails before starting a major campaign. Send a test email to yourself and few friends or colleagues to try it out before you email it to the masses. That way you will spot any errors before it goes live. Allow subscribers to double opt in. When you are setting up a list of subscribers, allow the subscriber to validate their address before it is added to your list. This will reduce the chances of invalid email addresses finding their way on to your list of subscribers.